The Iowa Alpha Advisory Board held its Fall 2017 meeting on Sunday, 20 August 2017. The meeting was attended by Eric Westfall, Chapter President; Sarah Floy, Corresponding Secretary; Kevin Korniejczuk, Treasurer and 4 Chapter Advisors: Dr James Hill, Dr. Richard Smith, Dr. LeAnn Faidley and Dr. LeVern Faidley. The Schedule of Activities for the Fall semester was discussed and it was decided to hold the Small Group Presentations and Election of new members on 25 October and election of officers for the 2018 spring semester on 1 November. Eminent Engineers to be initiated fall semester included: Dr. Ashfaq Khokhar, Chair, Electrical and Computer Engineering Department and Tomas Gonzalez-Torres, Senior Lecturer in the Aerospace Engineering who was formerly head of the NASA Extra-Vehicular Activities (EVA) System Group. The need for the identification of additional candidates would be raised in the meeting with the Dean, who had provided recommendations in the past. Dr. Hill recommended the chapter consider inviting Dr. Mark Lashier, a 1985 ISU graduate in Chemical Engineering, who was recently made President and CEO of Chevron Phillips Chemical Company to be the keynote speaker at the Fall Tau Beta Pi Banquet. It was proposed that the chapter try to have two groups work with Genesis Development in the design of engineering solutions to help individuals with disabilities succeed in the workplace. Concern was expressed as to whether space could be found on campus to host the Building the Future event and it was suggested the chapter investigate the possibility of having the event hosted off campus. It was decided to request ” Group Process ” for the Engineering Futures Sessions and to try to open participation to engineering students beyond Tau Beta Pi initiates and members. It was suggested the Tau Beta Pi Engineering Futures Coordinator be contacted to see if more than 1 facilitator could be provided and up to 4 sessions held. Sessions would be requested for 7 October with an alternate date of 21 October. The Scholar’s Resume Workshop was scheduled for Wednesday, 13 September from 7:00 – 8:00 pm, following the General meeting that evening. With regard to the Tau Beta Pi Meet and Greet with Tau Beta Pi members attending the Engineering Career Fair as recruiters on 19 September, Sarah Floy would provide leadership for the event and it was noted that an invitation has been sent to ISU Tau Beta Pi graduates who had recruited in Fall 2016 and Spring 2017, but thus far only a limited number had responded. Concerning Chapter finances it was noted that the President and Treasurer had not yet been issued P-cards for the Chapter’s Student Organization account, but would try to get them as soon as possible. The overall financial position of the Chapter was strong with a balance in the Student Organization account of about $5,450 and about $4,860 in the cash portion of the Tau Beta Pi Endowment with the ISU Foundation, a portion of which the Chapter could request be transferred to the Student Organization account if necessary. 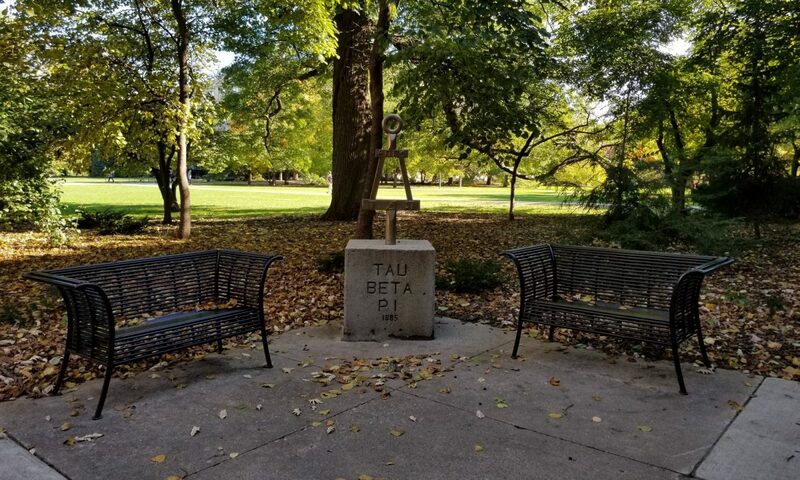 Some money from the Iowa Alpha Endowment at Tau Beta Pi Headquarters as part of the Chapter Endowment initiative was also expected to be made available for use by the Chapter this fall. In addition a new initiative to endow the Scholars Program was being undertaken in cooperation with the ISU Foundation based upon leadership funding being provided by members of the Faidley and David Kilzer, a former Iowa Alpha officer and Advisor and currently Apple Computer employee.